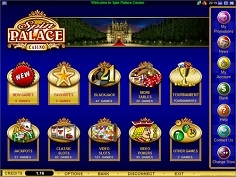 Spin Palace Casino is a huge online casino with a Vegas-style atmosphere, lots of games, and some great promotions. It’s a good place for blackjack – out of the 450+ games they offer, fans can find more than a dozen different blackjack variations to choose from. While the promotions here are not very blackjack-friendly, that won’t stop you from having fun, and hopefully winning some money at the same time! Microgaming is the software company responsible for producing the beautiful gaming suite that members of SpinPalace Casino get the privilege of using. The downloadable software suite is quick and easy to set up, so you won’t be wasting precious gambling time trying to get things working, even if you are on an older computer. This online casino also offers an instant play version. The games are fun and lively, and the casino lobby looks great, and is well-planned. It’s a real treat to play! If you like to play more than one style of Blackjack, then don’t worry about joining SpinPalaceCasino – they have covered all the bases. There are almost 20 great blackjack games to choose from in the blackjack room, all of which look and play very nicely. You won’t find any crazy, experimental games here – they just have the classics, like Vegas Strip, Atlantic City, and Super Fun 21. 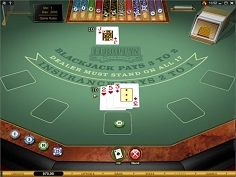 They also offer a great selection of Microgaming’s Gold Series Blackjack games, with advanced graphics and sounds for an incredibly realistic gambling experience. They are a real treat for blackjack lovers. There are just about 400 more games to be played at Spin Palace. Half of these are slots, which is great if you enjoy playing them. If not, there are plenty of other games to choose from, like video poker, roulette, craps, keno, baccarat, and scratch cards. You will also find over a dozen great progressive jackpot games, which give you a chance to win really enormous cash prizes. With all these great titles to choose from, if you ever need a break from winning at blackjack, you won’t have to look very far! The startup bonus that Spin Palace Casino offers can be huge – it’s really up to how long you end to play and deposit at the casino. First you get a 100% bonus up to $150 on your first deposit. On your 2nd deposit you can get a 25% bonus up to $125 followed by a 50% Max. $100 3rd deposit bonus. But that’s not all – for the next 52 weeks you will get 100 FREE spins to claim every Sunday to play on the new Tomb Raider Video Slot. And after you get really tired of claiming all these bonuses @ Spin Palace Casino, you will still be entitled for the 100% max. $105 anniversary bonus! The playthrough requirements for this bonuses are standard, and Blackjack games count just 10% towards the requirement, so it’s best to play other games to earn your bonus money. SpinPalace Casino also offers $50 random bonuses, and if you are lucky enough to win $25,000 or more with a Progressive game, they throw in an extra $1000! Finally, this online casino offers a great point-based loyalty program. It’s pretty standard, but it can definitely help you keep your account full! Spin Palace Casino has quite a lot to offer. Their game selection is amazing, especially if you are a fan of Blackjack or Slots, and there is enough variety to keep members busy for ages. The bonuses are great, especially the random bonus, which just throws money at random players every single month! With all this and more to be found inside, you have no reason not to go check out Spin Palace today!